This is an Open Meeting to discuss #FloodHack16. 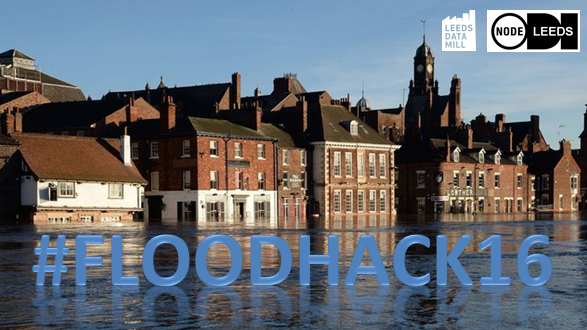 We will be running #FloodHack16 on the 11th & 12th March here at ODI Leeds – we will be looking at what challenges the recent flooding created and what technology, data and innovation can do, and building stuff that helps. All welcome, please come along, and find out how what you know, what you do, what you can do – can help. We have an open data start up’s introduction straight afterwards that you may want to stick around for, check it out here.